03 | December | 2011 | Beyond The Yew : Saying NO to Zionism! 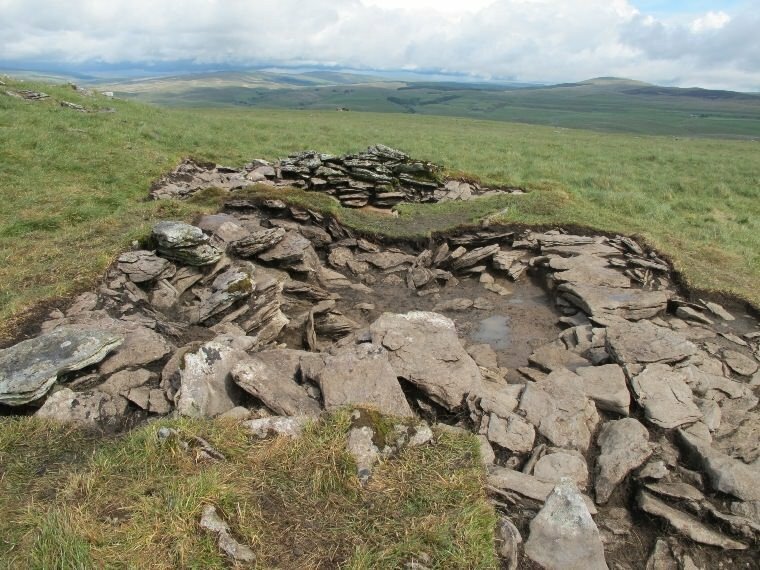 The flanks of Ingleborough in the Yorkshire Dales National Park have given up one of their secrets to a team of amateur archaeologists. Members of the Ingleborough Archaeology Group spent weeks investigating a remote site on the side of one of the National Park’s famous Three Peaks to the west of Selside in Upper Ribblesdale. And their work has resulted in the discovery of the first 7th century building to be positively identified in the National Park – and one of the first in the north of England. Excavation supervisor Dr David Johnson said: “We uncovered a small, rectangular, partly stone-built building with two rooms and in it we found 16 pieces of charcoal impressed into the compacted soil floor. “Two of these were sent for radiocarbon dating and returned identical dates – between AD660 and 780, which puts the end of the site’s use firmly within the Anglo-Saxon period. That makes this building the only firmly-dated, post-Roman archaeological site in Ribblesdale – which is of more than local significance. Many settlement sites have been identified between Ribblehead and Horton in Ribblesdale, including a well-known site near Ribblehead Quarry that was excavated in the 1970s. This is an exciting discovery and one which is a credit to the group for the professional way they approached and conducted the excavation. “The National Park has a wealth of archaeological sites but very few have been excavated and even fewer since scientific dating techniques became widely available. This is the first building in the National Park that is firmly dated to the 7th century and is one of only a handful in the north. “The results help fill in a picture of how life and farming communities developed in the Dales and shows just how much unrecorded archaeology there still is. Roger Bingham, the National Park Authority’s Member Champion for Conservation of Cultural Heritage, said: “All of us who are concerned about conserving and discovering more of our heritage have to thank enthusiasts for their important discoveries. “They are only ‘amateur’ because they are unpaid. In every other way – in methods of working and, above all, in recording – their expertise is thoroughly professional and we are pleased to have been able to provide financial support towards some of their expenses, such as carbon dating, through our research budget. The site has now been backfilled and the turf reinstated to protect it. There is an illustrated blog about the excavation on the Group’s website at www.ingleborougharchaeologygroup.org.uk/UP11.htm. See also the Authority’s Out of Oblivion website at www.outofoblivion.org.uk for more information about the local area’s history.